“The scrapes, which sparked complaints with the iPhone’s debut last month, are due to Apple’s decision to use a type of aluminum that helps make the smartphone thinner and lighter. Senior Apple managers told executives at Foxconn near the end of September to tighten production standards, said the person, who asked not to be named because the matter was private. The stricter quality control standards to prevent any more Scuffgate-related issues have also taken a toll on Foxconn’s workers. Just last week, over 3000 workers went on strike to protest their working conditions, halting the production of the iPhone 5 and other Apple products in one of Foxconn’s plants. Bloomberg notes that while Apple sold a record-breaking 5 million units during the first weekend, the number could have been higher if not for supply issues. 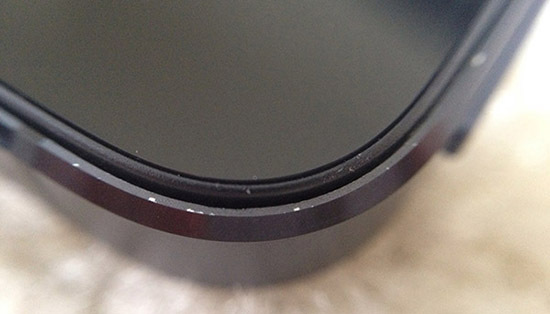 Is Apple taking the right steps to deal with Scuffgate? Did this issue affect your opinion of the iPhone 5? Share your thoughts in the comments below!